A loan of $700 helped to purchase chemicals in bulk to use on clients' hair. Caroline is a 26-year-old lady from Kisumu county, and is married to Harry who is also a business man in the same town. They have three children aged 8,12 and 1. She operates a salon business and has done this for the last 5 years earning an average income of 20,000 KES per month. 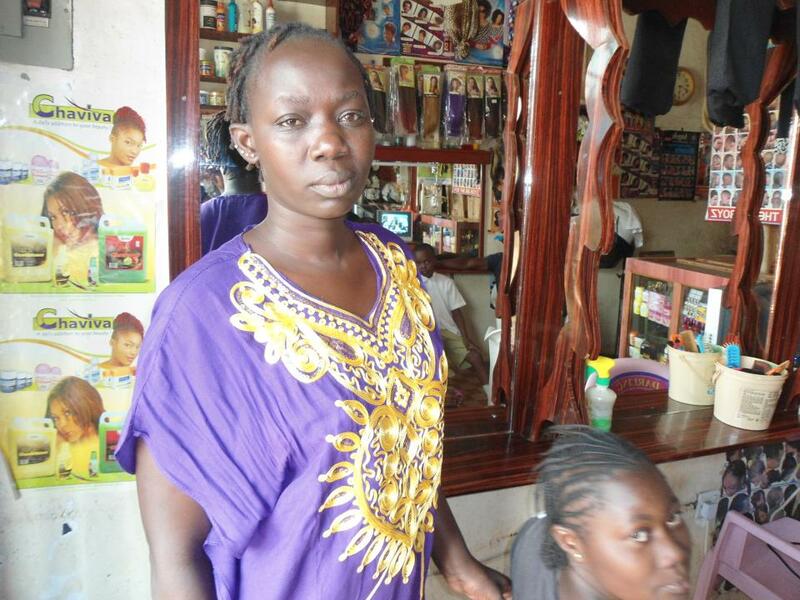 She is taking her third loan of 60,000 KES with Vision Fund Kenya to buy salon equipment and chemicals. The profits will be used to repay the loan and to add into her savings. Her dream is to prosper and bring up a happy family. VisionFund Kenya is dedicated to economically empowering its clients by providing financial services to improve living conditions of micro-entrepreneurs and their children across Kenya. VisionFund Kenya is the microfinance subsidiary of World Vision Kenya. Obtain more information on VisionFund Kenya from its website. VisionFund Kenya has a national footprint in Kenya, but focuses its operations on underserved areas of the country. The organization provides a diverse range of products including agriculture loans, business loans, education loans and more. These loans are offered both on an individual and group basis to ensure access and flexibility. VisionFund Kenya is one of the few large microfinance institutions in Kenya that operates in very rural areas and offers products designed specifically for the people who live there. Kiva funding is helping the institution reach more underserved clients and develop new innovative products to serve them better.